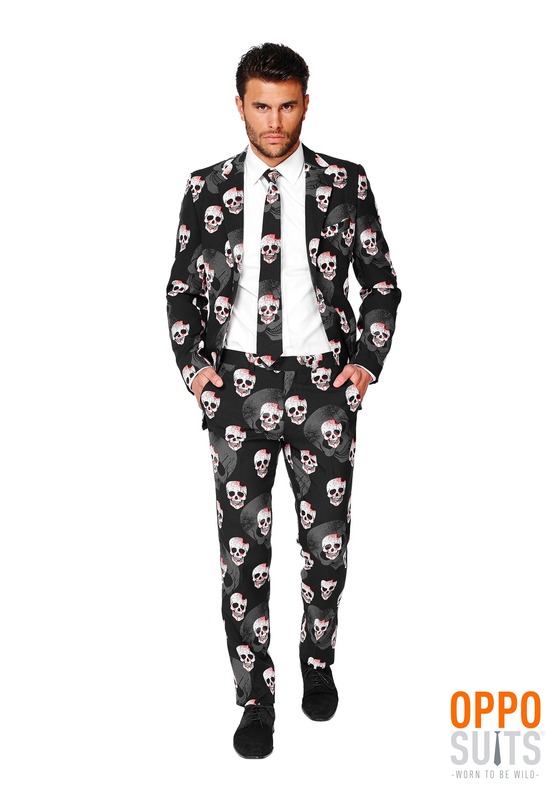 You know, usually we're big fans of men's dress suits. What with the matching jacket and pants? Fancy ties? They just look so smooth. 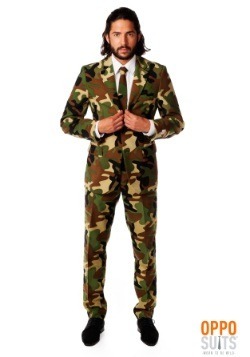 Like whoever's wearing it is about to go negotiate the surrender of a general and his army. Or go undercover to some casino with a hi-stakes game of poker. Either way, suits make an impression. Which is why we're getting a bit tired of them. 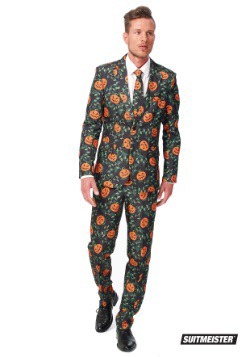 Apparently people have started to figure out that suits are amazing, so they all start wearing them. 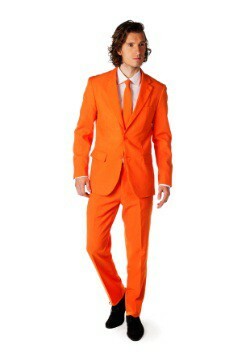 That's totally cool with us, except everyone keeps picking suits in the exact same color. C'mon guys! The point of a suit is to stand out! How much are you going to stand out in black or navy? Boring. Thankfully, the marvelous magnificent OppoSuit is here to save the day! Say goodbye to pinstripe and navy. 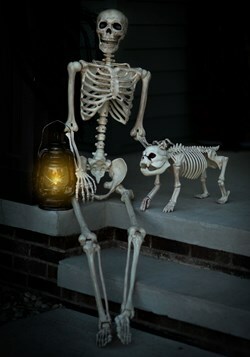 Say hello to character and zany. 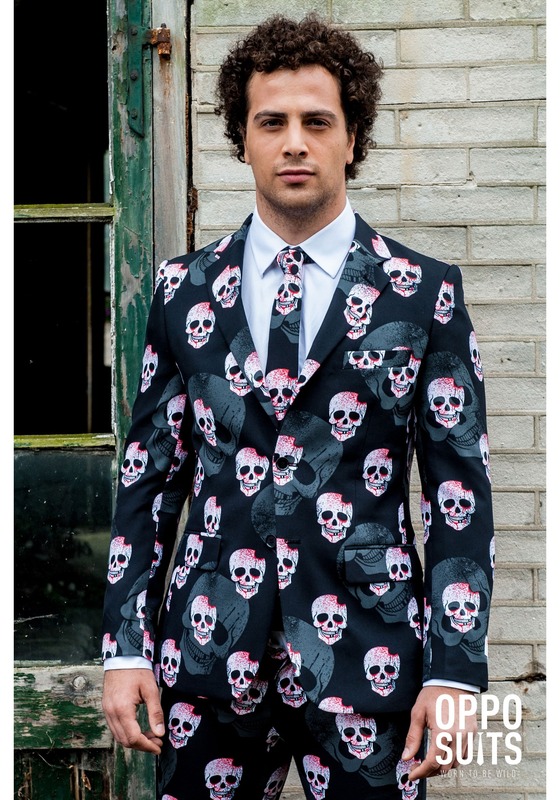 Our OppoSuit Skulleton Suit is sure to turn heads. 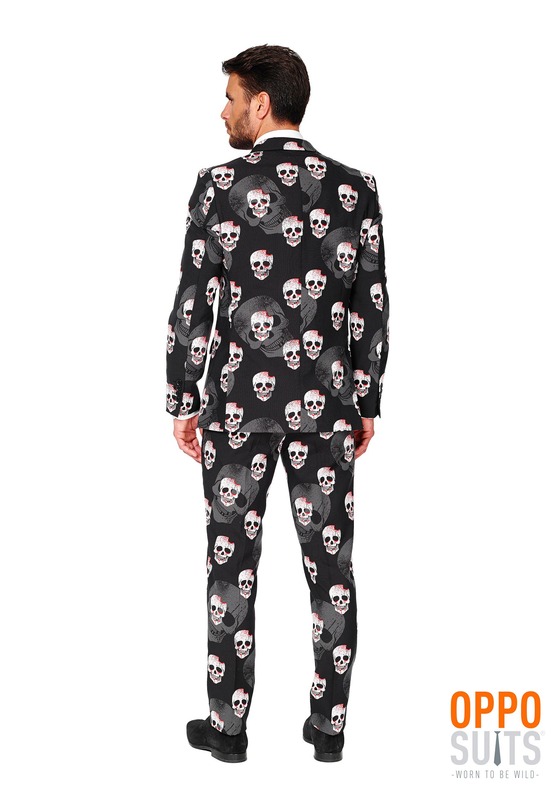 It's a 100 percent polyester suit with skulls printed over it. The jacket is fully lined with a two button closure, a matching tie, and the pants have pockets. It's made for easy tailoring, so tweak it to look your best in this lovely ensemble (though check the size chart first, it's a slim-fit design). 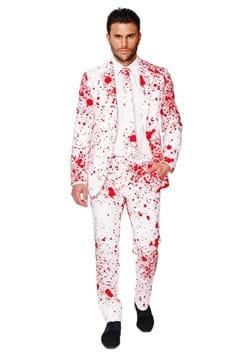 In this suit, you'll be suave and in-charge, ready to deal with anything that comes your way, but you'll also be charming and unique. Best of all? Your outfit won't be boring. You're welcome. 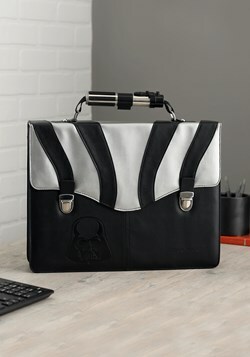 38 - $99.99 Only 3 left! 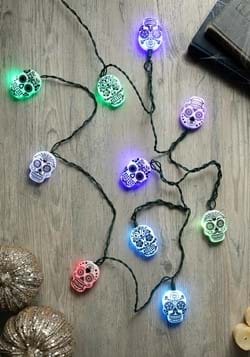 40 - $79.99 Only 5 left! 42 - $99.99 Only 2 left! 44 - $99.99 Only 1 left!